If you're looking for the perfect classical or contemporary musical accompaniment for a wedding or event, you've come to the right place! 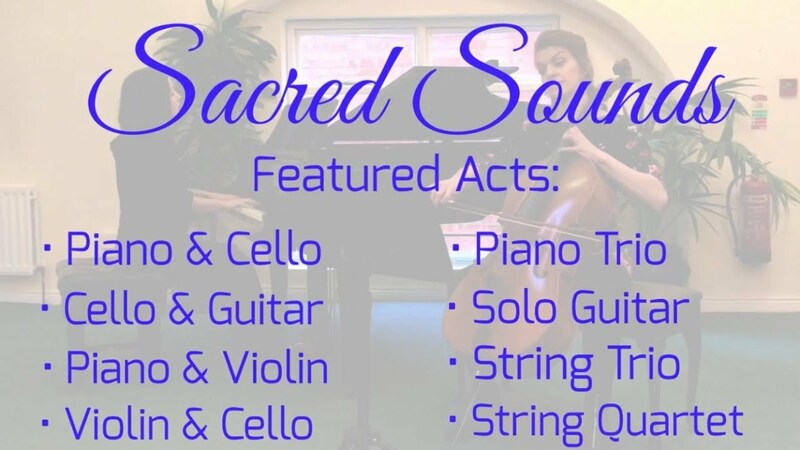 Sacred Sounds is a leading provider of professional musicians and ensembles, and has been proudly supplying the Irish wedding and entertainment industry for over 10 years. We have more than forty musicians in our network, more than 800 different pieces of repertoire, and offer a variety of music packages to suit all needs. We can provide advice on song selection, instrumentation, location, amplification, and arrange or transcribe songs of your choice upon request. With prices starting from a very competitive €275, we look forward to creating a memorable musical experience with you! © 2019 Sacred Sounds. All Rights Reserved.